In college I really enjoyed practicing yoga at the rec center. I would do my best to attend all of the classes and found them to be so relaxing. When I started to take my pageant training seriously, I also started noticing how yoga transformed my body. Yoga gave me the long and lean muscles that I wanted and I didn’t have to sacrifice my strength to get there. Now that I’ve graduated, I don’t have access to my beloved rec center anymore. 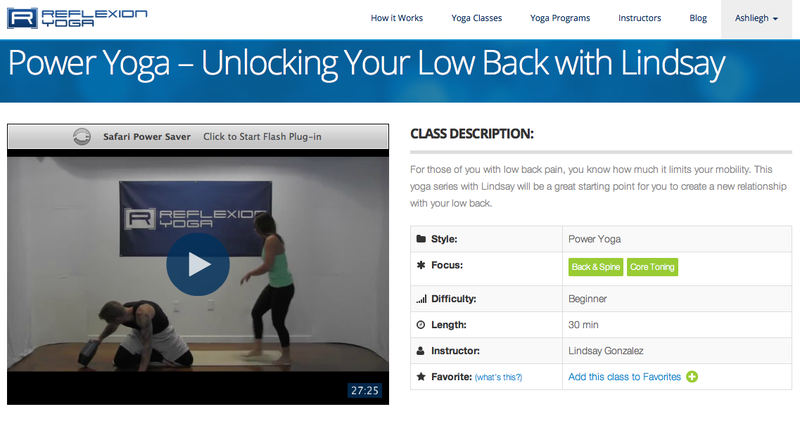 Thankfully, I discovered Reflexion Yoga which offers hundreds of yoga classes online. Since the classes are online, its definitely easier to continue my yoga practice on my own time from the comforts of my home. 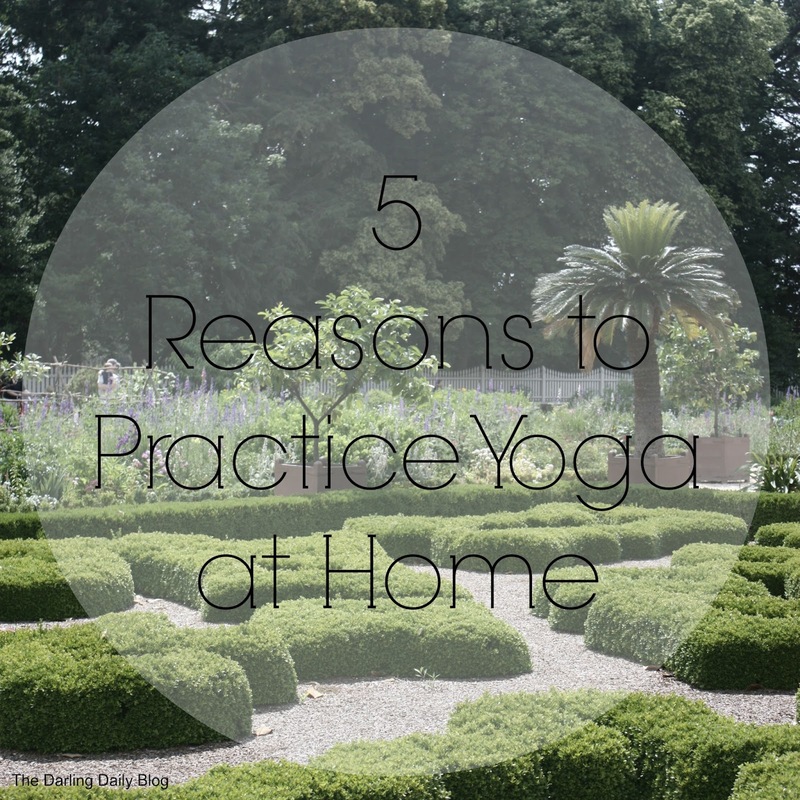 Here are a few reasons why you should practice yoga at home too! 1. You can do it wherever you want. Since you’re practicing at home, you can do it anywhere! You can access Reflexion Yoga’s classes from your desktop computer, laptop, iPad, smart phone or even hook your computer up to your TV! Sometimes I even take my laptop outside and practice yoga in the backyard. 2. No need to stick to a prescribed class time. Since Reflexion Yoga’s classes are online, I can access them anytime I want – in the morning before class, during sunset, before lunch, whenever it fits into my schedule! Reflexion Yoga also offers 15 minute classes, 30 minute classes, 45 minute classes, and hour long classes which also helps when it comes to scheduling my workout for the day. While the instructors are online, they actually have a real student whom they guide through the poses. They point out certain things that the student may be doing wrong that are easy to correct, allowing you to learn more about how to do the poses the right way. 3. You can change the routine if you don’t like it. The classes are divided into various difficulty levels. Sometimes I might select a video that is a bit too challenging, and when that happens I can easily stop the video and select a different option! One of my favorite videos on Reflexion Yoga! 4. You don’t get the feeling of being judged or watched like you do in a fitness center class. While I loved attending yoga classes with an in-person instructor, I also hated the feeling of being judged by my fellow students (even though we all know no one is really judging you cause their too focused on themselves being judged). Now that I practice yoga from home, I don’t have to worry about that feeling anymore. 5. It’s more affordable. Reflexion Yoga costs only $12 month or $99 for an annual membership. That’s way more affordable than a monthly gym membership which could cost around $20-$40 per month. They also offer a free 15 day trial so you can test out the videos before you commit to purchasing a monthly or annual membership. Enter to win a subscription to Reflection Yoga below!